Shesh. after a layoff at work taking a big bite out of my R2AK budget, I’m finally back to getting prepped for R2AK. Sadly, i had to curtail some of my bigger ticket modifications. I’ll still have oars, and not a new Hobie Drive. I’ll also still have the same set of tarps for sails. However, I am improving a few things, and rectifying some issues that came up last year. Here’s a list. I’m moving the cleats on the minnow’s mainsail lines forward, so I can incorporate a snubbing winch. I got a nice little aluminum one secondhand from the Center for Wooden Boats. I’ll have more on this later- i’ve already removed the cleats and reinforced the cabin top for their new placement. I had wanted to get this done for last year but ran out of time and money. And sure enough, my attempt to do without it was an issue. The saltwater got into, and caused a failure in my VHF’s non-waterproof charging cradle, and it also killed my USB cable for charging my cell phone. with the addition of a tablet chartplotter, i need a way to keep it charged and visible, while protected from the weather. What I’m going with is a larger version of the NEMA enclosure I built my breaker panel into. This will have a 10 foot cord that can either plug into my breaker panel or directly into my battery box. 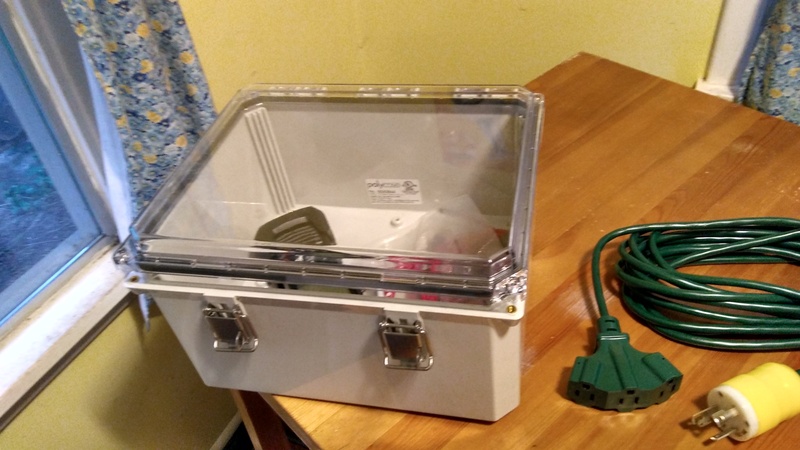 inside, it will have a box with a pair of 4.8 amp capable USB sockets, and a pair of 12v Ports, along with a LED voltmeter, to show charging state. there will be velcro on the inside of the clear top to hold the tablet chart plotter up against the top so it can be viewed at a glance, while still plugged into the charger. under the tablet, i’ll have space for my VHF on the charger, and my cell phone. nestled in there with them will be an Eva-Dry silica desiccant dehumidifier, in case any moisture gets into the box. I’ll detail this as that part of the build progresses. While the battery bank is removable for charging, it’s not the most convenient thing. plus, there’s no way to charge it in the boat, or have 110vac inside the cabin while in a marina. 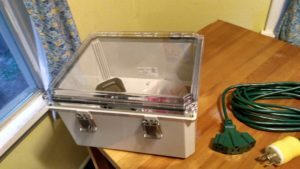 So, may I present the Minnow’s new Shore power cord and 110v system! 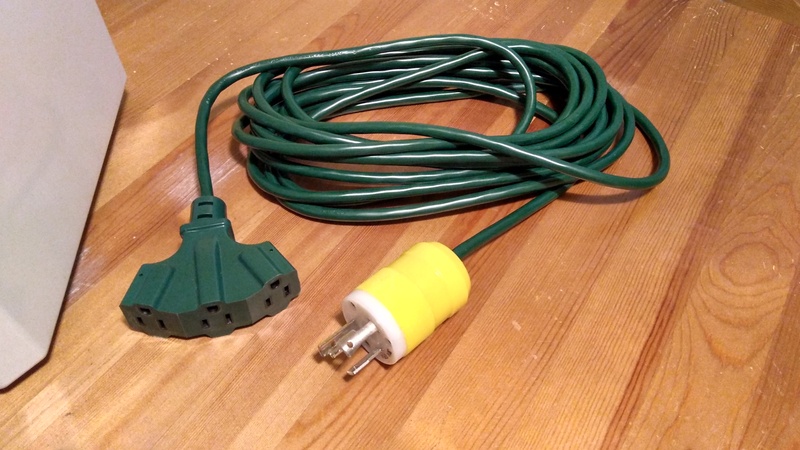 This is a 110v 25 foot 3-plug extension cord, modified with a 30 amp twist-lock plug suitable for plugging into dock power. I can now plug in my house bank charger and whatever else I need while dockside, just by passing this out a porthole. 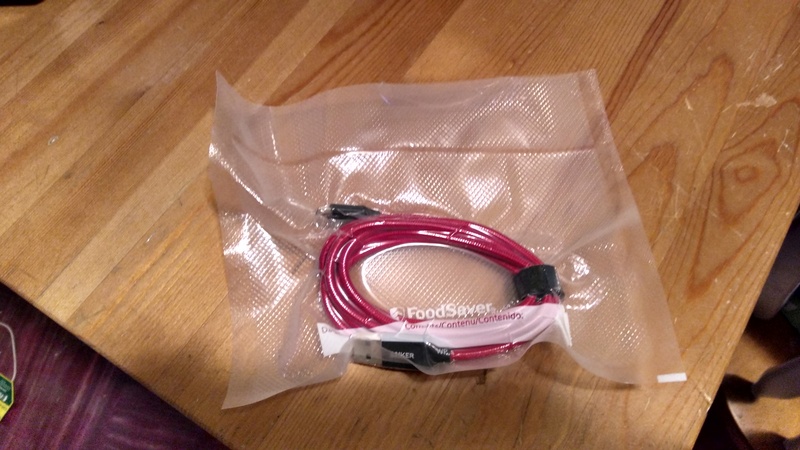 I’ve also invested in high-quality USB cables. They have gold plated connectors, heavy gauge wires, and fabric outer shell. I got four of them, two are backups. The backups are going in the box, vacuum sealed. for freshness! I really could use a boom tent, to keep the sun and the rain off when at anchor. Thankfully, I’ve got a sponsor for this! 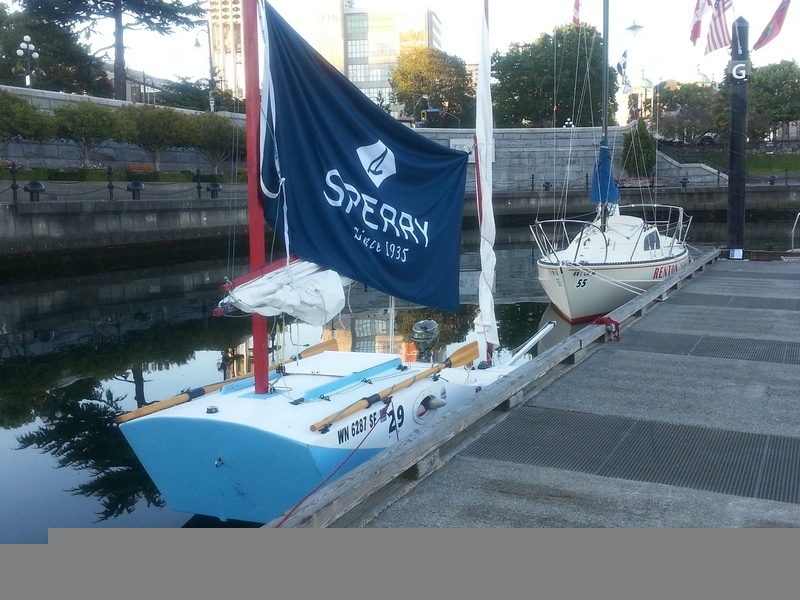 Yes, much to the joy of Team Hot Mess Racing and Team Squamish, the Sperry flag will return to the R2AK, and be cut down and reincarnated as a boom tent for the Minnow. A good boat hook with a telescopic shaft. I’ve added a colapsable boat hook to the gear for the Minnow; last year i wished i had something like that to pole out the boom when the wind was super light and had to make do with a paddle. Now, I have a Sea-Dog collapsible boat hook. It’s three feet long in short mode so it will be able to be stowed below, but expands to 8 feet if needed. it’ll come in handy for docking and if i need to pole out a boom again. it’s just a good thing to have on board. I’m sure there’s more, but it’s late. more updates to follow over the next few weeks.